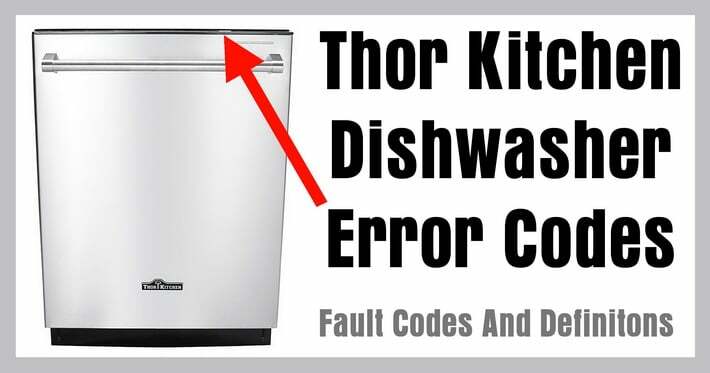 Thor Kitchen Dishwasher Displays An Error Code? 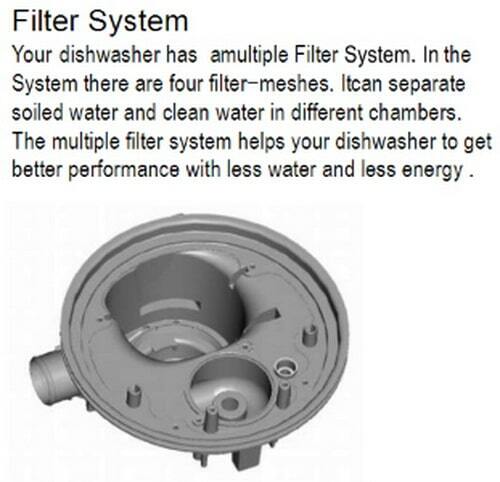 Thor Kitchen dishwashers have built in diagnostics to notify you when an error is present. The dishwasher will “see” the fault in the dishwasher and the computer will display an error code to let you know what the issue is. 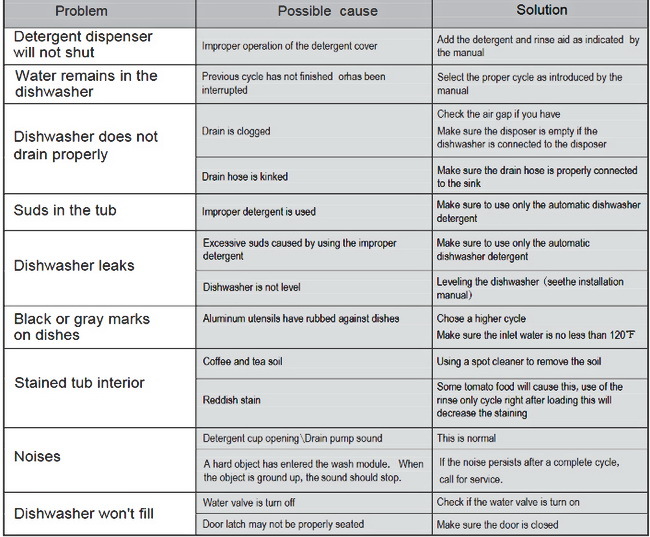 Knowing what the error or fault code is will help you to troubleshoot the dishwasher and fix it yourself. 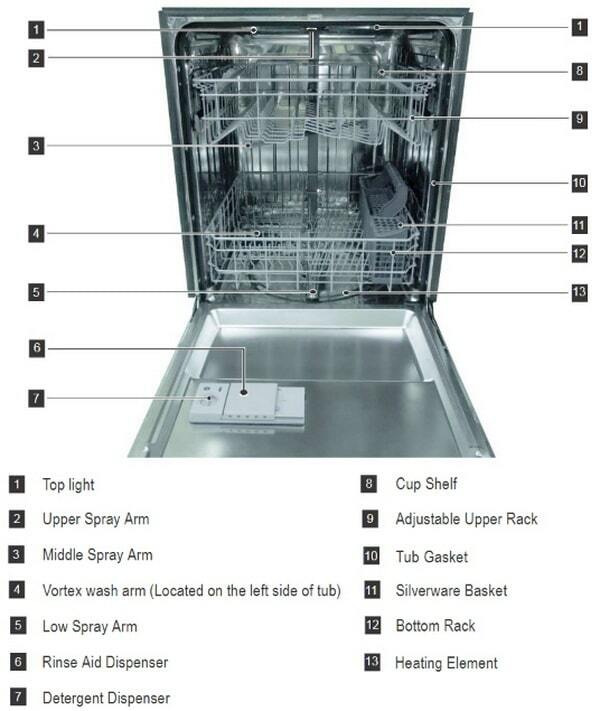 The error codes are below along with the filter system info and cleaning, a troubleshooting guide, and information about parts identification on the Thor Kitchen Dishwasher. 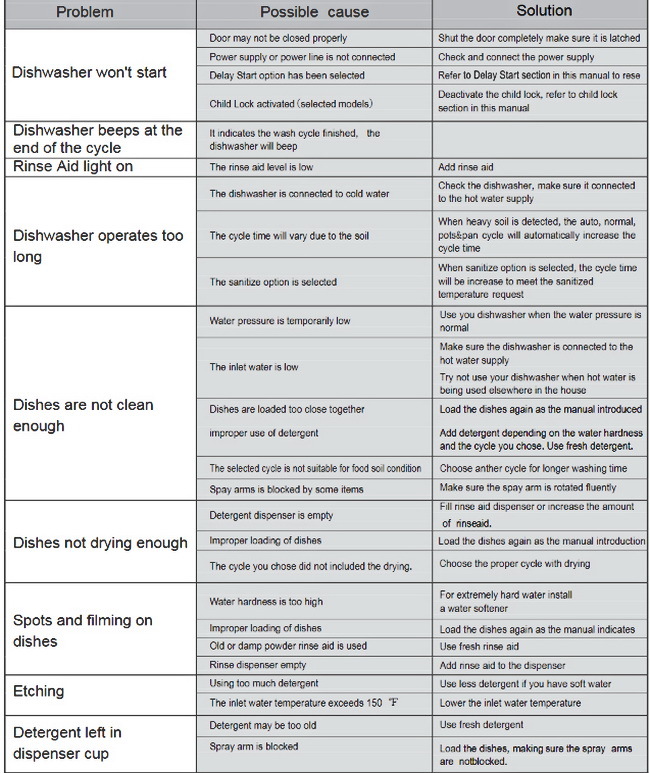 All the error codes and info charts will help to guide you to fix your dishwasher by knowing which part or parts need to be replaced or simply cleaned. 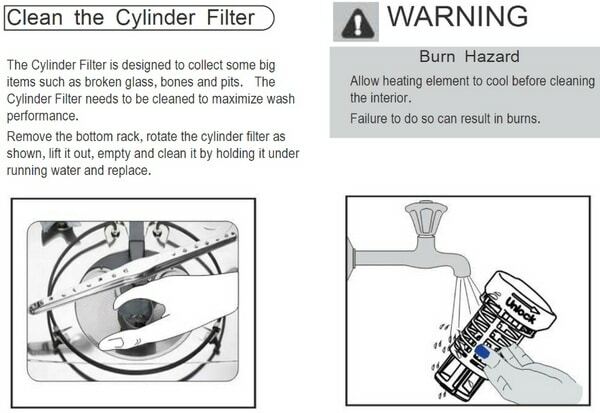 FIX: If overflow occurs, turn off the main water supply before troubleshooting. 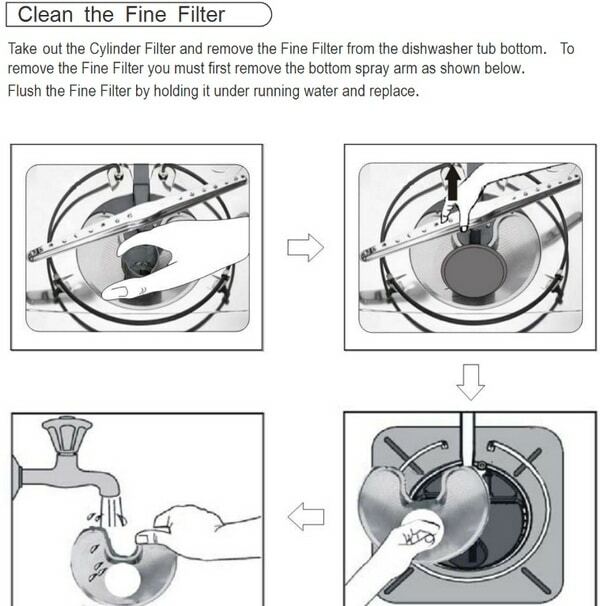 If there is water in the base pan because of an overfill then the water needs to be removed before restarting the dishwasher.